If you’re reading this, you have a mother. It’s an indisputable fact. It’s also an indisputable fact that here in the United States, it’s Mother’s Day. Today is a day when we honor our mothers. We thank them for what they do and did for us, and we generally spoil them as they’re never spoiled for the rest of the year. Today’s the day to thank your mom for all she’s ever done for you. It’s also an indisputable fact that I’m a daughter. (Yup. I am female. SHOCKING.) And I’m sure you won’t be surprised when I say that I invest a lot in fictional characters and their relationships. Because of this, my Mother’s Day tribute is a top 10 list of fictional mothers and daughters. Fiction, fantasy, classic, contemporary—here are some of my favorite daughter/mother pairings. What others can you add to my list? Poor Ellen. She’s setting a wee trend on this list: the long-suffering mother whose death forces her daughter into adulthood and maturity. Ellen is the mainstay of the O’Hara family. She keeps Gerald in check, she reins in Scarlett, she oversees the morals and health of the entire plantation. Her calm, steadfast presence is Scarlett’s rock, the safe space Scarlett longs for once the Civil War really gets going (read: impacts Scarlett herself). Although she dies, and Scarlett fails in her attempts, Ellen is Scarlett’s role model and unchanging idea of virtue. She is the daughter’s ideal of her mother. Karen Tyler, heart of the family. Sorta. Okay, maybe it’s the housekeeper. But still. Sure, Jaye has a ‘sode, works in a tourist shop, hears/sees inanimate objects talk, and isn’t quite what hyper-successful Karen expects from her children. But Karen loves her all the same and, at Jaye’s request, grants her youngest child more words in Karen’s newest book’s bio page. What I’m saying makes no sense? Yeah, that’s the joy of Wonderfalls. But whether or not you understand that reference, the Jaye/Karen dynamic is one of my favorites in contemporary television. They push and pull against each other, but they love each other all the same. A typical day in conning. Yup, normal mother-daughter stuff. Paige and Max’s is about the weirdest relationship on this list. (See #6.) They compete, seduce and con men, and, well, lie generally. But when push comes to shove, Max puts Paige’s welfare above their conning success, and she encourages her daughter to come clean with the man of her dreams. If you haven’t seen this underrated flick, check it out. The horror of wedding-planning. The horror! THE HORROR!! … and the joy. Well, she’s not your pretty, normally housewifely Greek woman. She wants a new life, works with computers, and fights against her heritage. But Toula loves her family, and the biggest conflict in her semi-unconventional life is her perceived need to choose between her family and desire to break with tradition. In spite of that, her mother, Maria, fights on her behalf. 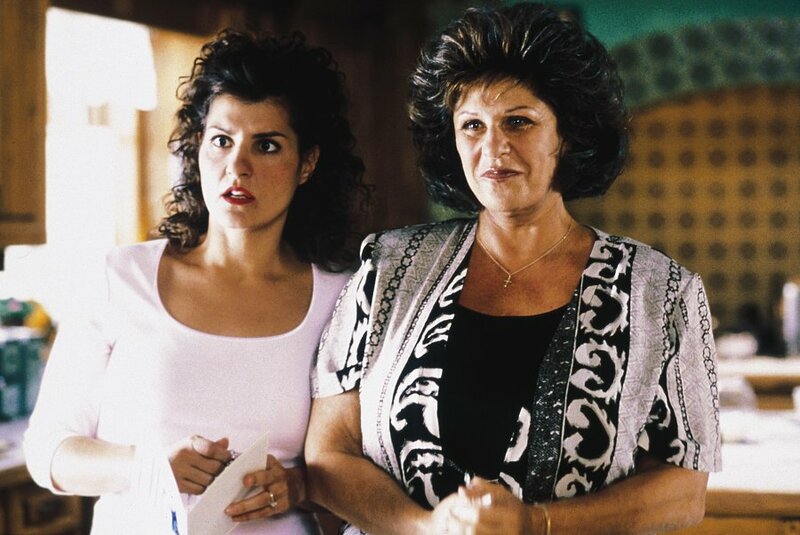 She argues with her husband, Toula’s father, for Toula’s independence. She welcomes Toula’s “normal” husband, Ian, and his family into their Greek clan with open arms. And she loves her daughter unendingly. Yup, weirdest relationship on this list. Conceived in the TARDIS, River has a time-head and some Timelord qualities. She’s taken away from Amy within moments of her birth, and transformed into a girl we never see again. THEN she becomes a teenager(ish?) and insinuates herself into Amy’s life as her best friend. 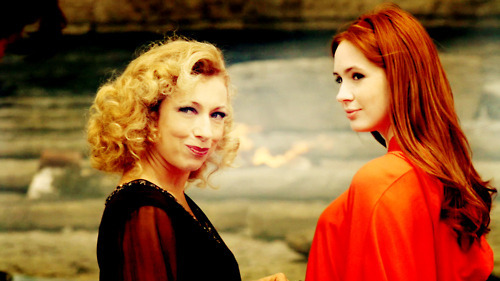 AND THEN she becomes the fabulous River Song, badass, role model, wife of the Doctor, and… loving daughter? What? Regardless of all that weirdness, they make it work. They love each other. And that’s what’s important. There it is, right there: mother-daughter love. This is the go-to gold standard of mother-daughter relationships. Marmee encourages and reprimands her daughters with tender kindness; she nurses their hurts, she tends their dreams, she waits out their wacky antics. My favorite portrayal of Marmee is 1994 film starring Winona Ryder and Susan Sarandon. While some may complain about Marmee’s almost-modern sensibilities, I love her for encouraging Jo to write and “find herself, and for holding revolutionary transcendentalist beliefs. She’s a remarkable character, and what every mother should hope to be. Mrs. Bennet and the girls, always waiting on a man. 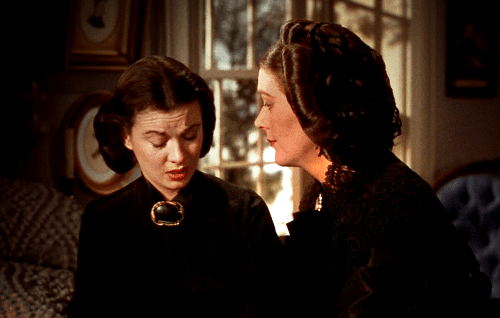 Whatever opinion you hold of her methods, you have to admit that Mrs. Bennet puts her daughter’s futures in a priority position. Plus, she’s hilarious. She’s ridiculous, outspoken, unenducated, and a little rude, but she’s still a delight, and a wonder of forward-thinking planning. Her first concern is for her daughters(‘ future wealth). I once read an introduction to one of the many editions of Pride and Prejudice I have lying around that argued that Mrs. Bennet is a far better parent than ironic Mr. Bennet, who openly prefers clever Lizzie to all his other daughters. I’m not sure if that’s true, but I won’t deny Mrs. Bennet’s limitless concern for her children. Plus, the woman had FIVE daughters. Give her a break. Ah, mothers and their gherkins. Poor Pamela. Bridget and her father have their “grown-up club of two,” always judging and laughing at mad old mummy. But when Pam has an affair, cheating on Bridget’s dad, she does tell her daughter about the, erm, remarkable new relationship. Bridget sides with her father, of course, but she doesn’t cut her mother out. In the end, Pam wants Bridget’s support and approval. This relationship reminds us that, just occasionally, parents screw up, too. Mothers make relationship mistakes as often as daughters, do, and sometimes daughters have to hold their tongue and let their mothers live their own lives. Nothing brings mother and daughter together like a dead body. How many mothers would help their oldest daughters carry the body of their dead lovers back to their rightful bedrooms? Unclear pronouns aside, Cora is a mother among mothers. Yes, she judges Mary. No, she never forgets the awkward moments of carrying Mary’s dead lover’s corpse back to his bed. But she, too, lives for her daughters’ welfare. Cora advocates for breaking the entail on Mary’s behalf, she lives and breathes Mary’s future prospects, and she hates the thought of Mary loving a man she doesn’t love. She also fights for Edith’s best prospects, and she lives and dies with Sybil’s choices and misfortunes. Cora is, in short, a realistic mother. She is the unconditional, if hopeful, love a mother gives to her daughters. Loving and accepting, and letting it burn. You knew, YOU KNEW, this one would be on this list. Come on. It’s me, after all. Buffy and Joyce have just about the most realistic mother-daughter relationship of them all. Joyce has to accept Buffy’s, um, quirks (“Have you tried not being the Slayer?”), to watch her daughter fight every day and night for her life, and to let her daughter attempt to become a grown-up. And in turn, teenage Buffy has to watch her mother have her own life. She accepts her father’s flaws and the mutual reasons for her parents’ divorce. She has to release some of the centrality she assumes she has in her mother’s life. And Joyce has to trust her daughter to oversee her (Joyce’s) death with grace and maturity. As Giles says, Joyce teaches Buffy everything she needs to know about living. And there’s nothing more we can ask from our mothers.